A comprehensive, practical examination of the basic principles andinner mechanics of matter . 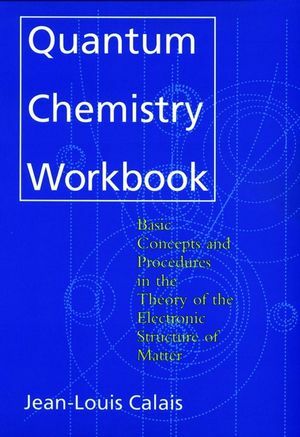 . .
An essential companion to any textbook on chemistry and physics,the Quantum Chemistry Workbook is ideal for professors interestedin giving students a firm grasp of the working basics of thescience. For students and professionals interested in pursuing thefundamentals of quantum chemistry on their own, the Workbook is anincomparable introduction and study tool. Jean-Louis Calais is Associate Professor of Quantum Chemistry at the University of Uppsala, Sweden.